With her classic and elegant lines, Oasis offers an ideal environment for relaxation. 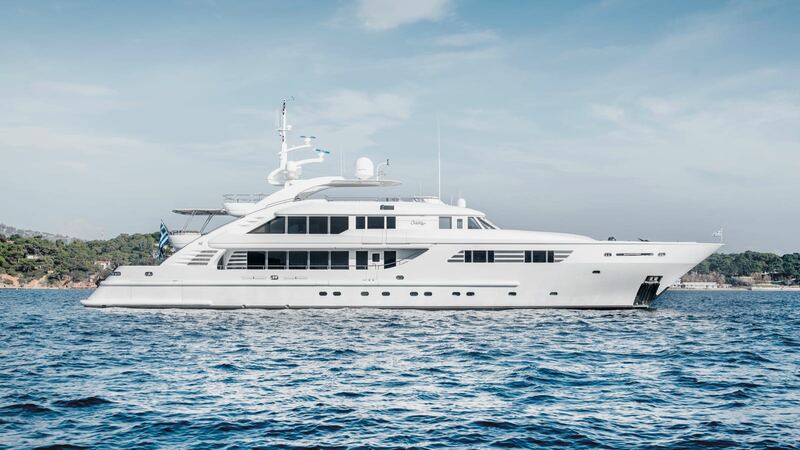 Her luxurious and classy interior underwent a major refit in 2017, rendering her in immaculate condition. She consists of six staterooms for twelve guests; a spacious Master Cabin on the main deck, a bright VIP cabin on the upper deck and four guest cabins on the lower deck all with en suite facilities. Her impressive sundeck features an inviting outdoor lounge area and a twelve person Jacuzzi. More about Megayachts for Charter here!